LaCie is once again giving Apple's designers a run for their money with its latest stylish storage device, the Network Space 2. The company has enlisted the help of design guru Neil Poulton to give its media server range a professionally styled sheen. The device has been given a mirror-polished black finish and there's a blue LED strip on its underside to give it a nice cool glow. LaCie's Network Space 2 has Network Attached Storage (NAS) capabilities and is UPnP/DLNA compliant, so linking it up to your desired games console should be a cinch. And there's even a new range of dashboard functionality to help you control the device easier. It also has some great new features that are sure to entice in the download crowd – including Download Machine that allows multiple torrent downloads, even when your computer is turned off. Couple this with the device's iTunes compatibility and the Network Space 2 shapes up to be something very desirable indeed. 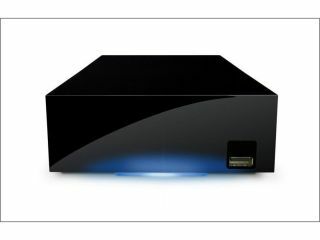 The LaCie Network Space 2 packs in 1 TB capacity and is available now for the princely sum of £139. Go to www.lacie.com/uk for more details.